More than 40 classes a week so you can make sure to fit YOU time into your summer – click on the FIND YOGA IN WIMBERLEY page to see what’s up every day. Because of summer – there may be holiday closures – and special events – coming up that you want to know about. Click on the following links to go directly to the studios for the latest…. Thanks everyone and have a great summer! Howdy yoga fans. We’re taking a break to be with our families next week, so here’s the yoga schedule for Wednesday – Sunday…. All classes are canceled today. Happy holidays everyone! Join Lisa for a Special Family Yoga Workshop suitable for all ages and levels of fitness. Come have fun, stretch, play and work off that pumpkin pie! $15 per person or $10 per person if you bring a family member. Helen says, “It’s my birthday and we’ll sweat ’cause I want to” – so this year, we’re warming the room to a comfortable 90˚ with a little humidity and a light breeze, and your warm, pliable muscles and deeper focus on the breath will open you into new places, and leave you feeling clean, fresh and exhilarated, inside and out. $10 (class cards count). Please bring a towel. Hey Wimberley Yogis, isn’t this just the Summer of Bliss? Great weather, plentiful rain, farmers all happy and prosperous at the local market, and this beautiful green, green world. I’ve heard that the Inuit language has 25 words for snow. I feel that way about green during summers like this – we don’t have nearly enough words to describe it. Well, yoga in Wimberley has boomed since I launched this website a year ago. We’ve jumped from fewer than 20 classes a week in Wimberley and Driftwood to 30+ and people are talking about yoga all the time. Twice as many teachers are teaching regular classes; there have been workshops and weekend retreats and teacher trainings and loads of free classes for worthy causes. We’ve had new teachers graduate from local training programs, and the energy of yoga is growing like those enormous zucchinis in the garden. This is a busy month – with Kids Yoga and an Ayurveda workshop @ Heart of Texas – and plenty of yoga going on, and coming up. July 7 – July 28, Ann Zbylot is teaching The Essence of Yoga at Heart of Texas on Wednesdays 4:30 – 5:45. This delicious sounding 4 week series includes a physical yoga practice, meditation, and the study of Bhakti Yoga, the yoga of devotion. It’s $60 for the program. Contact Ann. Beginning on Saturdays July 31, 1:30 – 4:00, Becky Jordan begins teaching an ongoing series at Heart of Texas that incorporates physical yoga practice with a teaching about the 8 limbs of Yoga: the ethical, moral, physical, emotional, mental and spiritual practices that lead a yogi to “Samadhi” – enlightenment. $25 a session. On August 21-22 Camp Utopia’s C.U. in August Retreat presents guest teacher deAnna Anderson for a Jivamukti / Manipura Weekend! deAnna is a fabulous Dallas teacher; she’s about to launch the Dallas chapter of a national teacher training program for Pure Yoga / Equinox. deAnna will teach a powerful Jivamukti Yoga class on Saturday morning and an Arm Balancing class on Sunday morning. The 3rd chakra theme means working on the power center – helping you identify your many skills and the determination you need to meet your goals. You’ll eat yellow food (delicious, homemade, healthy, vegetarian) and learn the breathing techniques, hand gestures (mudras), chants, pressure points, and yoga postures for charging up your power center. Saturday afternoon, Arts & Crafts offers a plethora of fun tools to inspire you, followed by a relaxing social meal, a gentle wind down practice and long yoga nidra (relaxation). Sleep comes easy after that! Wow, summer is great for yogis in this town! September brings Free Day of Yoga on Monday, September 6 – so look for schedules to appear next month. And Camp Utopia’s regular series of weekend retreats continues on September 18-19 with an Anusara and Heart Chakra focus! The Anusara practice and Back Bend workshop will be taught by another up-and-comer from the Pure Yoga / Equinox family, Jason Lobo. More on that here later, or here: Camp Utopia.com now! Howdy Yogis and Yoga fans. Wimberley Yoga is growing and growing. The Wimberley Community Center just added 2 new yoga classes for Seniors in the Seniors Lounge. It’s free for 55+ and it is just the right blend of strength and stretch that aging bodies need. Classes are Mondays 9 – 10 AM and Wednesdays 10:15 – 11:15 AM. Bring a mat if you have one! 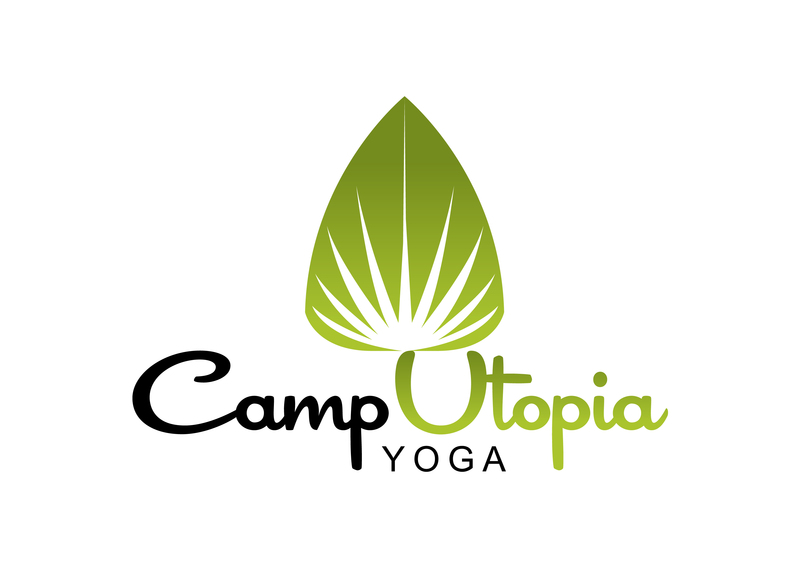 Also Camp Utopia Yoga is launching their weekend retreat series and full teacher training program on May 28 – 30. Each of 8 weekends introduces some of the philosophy and practices of yoga along with lots of traditional yoga classes, and introduces all the major styles of yoga practiced in the U.S. Check out the events page for more…. Wimberley’s Camp Utopia, a yoga workshop, retreat and teacher training company, and a major sponsor of this website, is launching an 8 week wellness workshop series to help you lose some weight, and uncover the food and body issues that have been making weight (or overall health) a challenge. Working from the first chakra in week 1 to the total chakra system in week 8, Camp U will provide you with poses, meditations, food ideas, recipes, and the tools and techniques you need to explore that chakra’s energy and purpose to clear and awaken to a whole new way of thinking about your food, your weight, and your incredibly beautiful body. It’s going to fill up fast – so go to http://www.camputopia.com to sign up! It is Hobby Lobby time for Wimberley – and yoga is a big part of the program this year! Each class is a donation right back to the community of Wimberley, where it is used for scholarships, animal rescue, the volunteer fire department, and other worthy charities. Beginning this Sunday, an 8 week series called Healing Power Yoga – a gentle but powerful strengthening and stretching modality that improves balance, stability, core strength, pain and tightness throughout the body. 9-10 AM every Sunday in March and April – come to one, come to all – you’ll notice a difference! This class is hosted by Wimberley Fitness Company. Each class is $10 – 100% goes to the community. And there’s more! Look for classes also coming up at Heart of Texas Yoga. April 10, 11-12 AM Anusara Yoga – a gentle potpourri practice that will leave you inspired and empowered! May 8, 1-12 AM Hatha Yoga – an introductory class covering the basic postures of yoga, ending in a relaxation that will leave you refreshed and relaxed in your body, and alert and focused in your mind. May 15 11-12 AM The 5 Tibetans – these 5 postures are a focused, highly energized mini yoga series for health, energy and personal power. All these classes are appropriate for all levels of practitioner; beginners are encouraged to experience the many benefits of yoga. $14 per class, 100% goes to the community. Welcome to the Wimberley Yoga community website – here’s a few changes since the last time you checked in…..
Beginning this week, every Monday 11:30 – 12:45 Healthy Lunch class @ Wimberley Fitness Company will be an all levels Kundalini class & meditation with Ceci Zuniga. Wimberley Fitness Company has also added in another late afternoon class on Tuesdays – just a shortie, 4:30 – 5:15 pm, with Helen Stutchbury. This class is a great way to segue from day to evening – a quick burst of strengthening, Healing Power Yoga poses, and a gentle stretch and dreamy meditation will leave you feeling strong, refreshed, and free of stress. Wimberley Fitness Company is proud to welcome Ceci Zuniga, Pam Kiel, and Ann Zbylot to their teaching roster. Joining Jo Hickman, Adrien Thom, Carla Daws, and Helen Stutchbury, this team of devoted, excellent teachers from multiple disciplines (hatha, power, kundalini, anusara, intergral, vinyasa, restorative, chair yoga, healing power yoga, and alexander technique) have the skills and variety to enhance anyone’s yoga practice. Heart of Texas Yoga has also added some new classes – Monday afternoons “Golden Girls” class with Jan McGowan is a gentle, fun class for seniors and anyone wanting a gentle practice. And Ellen Berman has added a second All Levels Hatha class on Wednesday mornings 8:30 – 9:45 AM. And don’t forget to check out the “Hobby Lobby” events throughout the Spring – there are 14 additional yoga classes being offered around town. All proceeds from these classes go right back to the community. Pick up your guide book @ the Wimberley Visitor’s Center for more information. Wimberley Yoga is a network of local yoga instructors in Wimberley, Texas and the surrounding area. Our goal is to create a more vibrant community of passionate yoga teachers, and to enable and facilitate more opportunity for growth and abundance. Our community of amazing yoga teachers offer 28+ yoga classes a week in Wimberley & nearby Driftwood so you can practice the way you like it, when you like it! Click on the schedule page for all our classes! Most classes range from $10 - 12 for a drop in, with options to purchase multiple class cards and class memberships at a discounted rate.